Product reviews, puzzle toys, training talk, DIY projects, and all things dog. Starmark Makes a variety of durable toys that resist destruction. Their Treat Dispensing Chew Ball, Everlasting Treat Wheeler, and Everlasting Treat Ball are their most toughest offerings. 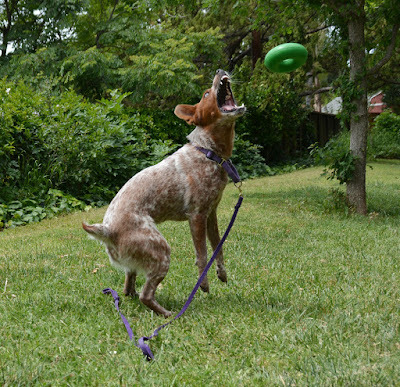 Outward Hound's Bionic products are also more durable than the average dog toy. Kong's Blue line of rubber chew toys are tougher than the red ones, and also show up on xrays in case your dog eats one. Planet Dog's Diamond Plate toys offer a lot of durability with a nice peppermint smell. Extreme Black Kongs are known for standing up to some serious gnawing. SodaPup's Magnum line is also quite heavy duty. PetSafe's Budy Buddy Squirrel Dude is unusually difficult to destroy. You will not find anything tougher than GoughNuts, I believe their MaXX Pro50 Ring is the toughest chew toy on the market. The inner core of the toy contains a red safety indicator, and the company will replace it if your dog manages to chew through to the red. Despite their reputation for durability, only Kong's rubber chew toys are intended for serious gnawing. Most Kong-brand toys are not made to be super-tough, and many are quite flimsy. to review your dog or cat product, please send me an email at rachel@theDOGgeek.com! Sisci Godzilla does herding, agility, and lure coursing, hoping to start flyball, disc, dock diving, barnhunt, and everything else soon! She makes the sheep do stuff. Caturday: What Color Is Your Cat Really? Balls Are a Choking Hazard! Caturday: What About Purebred Cats?